One of these special partner NGO's is the Kipsaina Crane and Wetland Conservation Group (KCWCG) located in Kenya. Founded in 1990 by local youths who registered as a Community-Based Organization (CBO) to raise awareness among communities in the Trans Nzoia District about the importance of conserving wetlands for both livelihoods and biodiversity, and to protect sites critical for the persistence of Grey Crowned Cranes. Realizing that these goals could not be accomplished unless the socio-economic needs of the communities were addressed, KCWCG began to integrate wetland conservation with community development, focusing on problems affecting both wetland health and community well. Short or long term volunteer opportunities are available year round to be customized to your individual schedule. We provide comprehensive preparation that includes an understanding of the culture and all considerations necessary for travel. 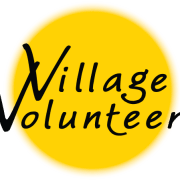 The Village Volunteers international program is true immersion done safely and responsibly.